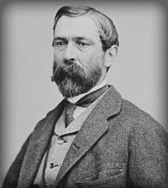 R Taylor appointed colonel, 9th Louisiana Infantry, on 9 July, 1861, dated 7 July, 1861, and was appointed brigadier general, Confederate States Army, on 21 October, 1861. Captain E G Randolph, 9th Louisiana Infantry, Company D, was appointed lieutenant colonel, 9th Louisiana Infantry, on 1 July, 1861, dated 7 July, 1861. Captain W J Walker, 9th Louisiana Infantry, Company H, was appointed major, 9th Louisiana Infantry, on 7 July, 1861. The company was accepted in state service at Homer, Claiborne Parish, Louisiana, on (?) May, 1861, and was ordered to Tangipahoa Station, St Helena (Tangipahoa) Parish, Louisiana, on 13 June, 1861. The company was mustered in state service at Camp Moore, on the New Orleans, Jackson & Great Northern Railroad, one and a half miles north of Tangipahoa Station, St Helena (Tangipahoa) Parish, Louisiana, on 25 June, 1861. The company was accepted in state service at Alexandria, Rapides Parish, Louisiana, on 15 May, 1861, and was ordered to proceed by steamer on the Red River to New Orleans, Orleans Parish, Louisiana, on 4 June, 1861. The company was mustered in state service at Camp Moore, on the New Orleans, Jackson & Great Northern Railroad, one and a half miles north of Tangipahoa Station, St Helena (Tangipahoa) Parish, Louisiana, on 10 June, 1861. The company was accepted in state service at Sparta, Bienville Parish, Louisiana, on (?) May, 1861, and arrived by the New Orleans, Jackson & Great Northern Railroad at Camp Moore, on the New Orleans, Jackson & Great Northern Railroad, one and a half miles above Tangipahoa Station, St Helena (Tangipahoa) Parish, Louisiana, at 8 AM on 20 June, 1861. The company was mustered in state service at Camp Moore, on the New Orleans, Jackson & Great Northern Railroad, one and a half miles north of Tangipahoa Station, St Helena (Tangipahoa) Parish, Louisiana, the same day. The company was accepted in state service at Bossier Parish, Louisiana, on (?) April or (?) May, 1861, and was ordered to proceed by steamer to New Orleans, Orleans Parish, Louisiana, 13 June, 1861. The company arrived by the New Orleans, Jackson & Great Northern Railroad at Camp Moore, on the New Orleans, Jackson & Great Northern Railroad, one and a half miles north of Tangipahoa Station, St Helena (Tangipahoa) Parish, Louisiana, the same day and was mustered in state service on 17 June, 1861. Captain E G Randolph and First Sergeant J J Hodges, 9th Louisiana Infantry, Company D, were appointed lieutenant colonel, 9th Louisiana Infantry, and captain, 9th Louisiana Infantry, Company D, on 1 July, 1861, dated 7 July, 1861. The company was accepted in state service at Milliken's Bend, Madison Parish, Louisiana, on (?) May, 1861. The company was accepted in state service at Mansfield, DeSoto Parish, Louisiana, on (?) April or (?) May, 1861, and was mustered in state service at Camp Walker, Metairie, Metairie Racecourse, Jefferson Parish, Louisiana, at 5 PM on 6 May, 1861. The company was accepted in state service at Brush Valley, Bienville Parish, Louisiana, or (?) May, 1861, and was mustered in state service at Camp Moore, on the New Orleans, Jackson & Great Northern Railroad, one and a half miles above Tangipahoa Station, St Helena (Tangipahoa) Parish, Louisiana, on 25 June, 1861. Captain W J Walker and First Lieutenant W F Gray, 9th Louisiana Infantry, Company H, were appointed major, 9th Louisiana Infantry, and captain, 9th Louisiana Infantry, Company H, at Camp Moore, on the New Orleans, Jackson & Great Northern Railroad, one and a half miles north of Tangipahoa Station, St Helena (Tangipahoa) Parish, Louisiana, on 7 July, 1861. The company was accepted in state service at Franklinton, Washington Parish, Louisiana, on 22 May, 1861. The company was accepted in state service at Jackson Parish, Louisiana, on (?) May, 1861, and was assigned to the 12th Louisiana Infantry, Company M (2nd), on (?) October, 1862. "Our old friend and brother 'chip', John S. Gardner, now an M. D., and a resident of Livingston parish, has been elected Catian of the Colyell Guards, a company of about fifty men in the 'free state'." "We learn by a letter from Captain Gardner of the Colyell guards, that while his company was in camp at Montgomery's Ferry, on the Amite River, one of their number, Mr. Harry Hood, was accidentally killed by a sentinel." "This company, numbering some ninety-six, in command of Capt. R. L. Capers, arrived at Vicksburg on Monday, from Homer, Claiborne parish, La., bound for Camp Moore." "Benton's Ferry, 18 June, 1861 - After the address Capt. J. S. Gardner responded in a feeling and appropriate manner, thanking the orator, the ladies and citizens generally for their kind attentions during their stay at Amite Springs." "Richard Taylor, son of the late President Taylor, has been elected Colonel of the Ninth Regiment of Louisiana; Capt. N. J. Walker, Lieut. Colonel; and Capt. Randolph, Major. Both of these latter gentlemen were Captains in the Mexican war, and Maj. Walker was with Gen. Scott in Florida. A portion of the regiment was to leave New Orleans on Monday last for Virginia." "At every halt of the wretched engine, said Taylor, the noise of the battle grew more and more intense, as did our impatience. At dusk on July 21 the weary engine wheezed into Manassas Junction. The 9th Louisiana Regiment had missed the Battle of Manassas." A guide to Louisiana Confederate military organizations 1861-1865, by A W Bergerun, Jr. The 9th Louisiana Infantry was stationed at Camp Moore, on the New Orleans, Jackson & Great Northen Railroad, one and a half miles north of Tangipahoa Station, St Helena (Tangipahoa) Parish, Louisiana, on 7 July, 1861. Amite Springs, Livingston Parish, to Camp Moore, on the New Orleans, Jackson & Great Northen Railroad, one & a half miles north of Tangipahoa Station, St Helena (Tangipahoa) Parish, Louisiana, Company G, 17 June, 1861: The Colyell Guards was stationed at Amite Springs, Livingston Parish, Louisiana, on 7 June, 1861, and was ordered to proceed by steamer on the Amite River at Benton's Ferry, Livingston Parish, Louisiana, to the New Orleans, Jackson & Great Northen Railroad, one and a half miles north of Tangipahoa Station, St Helena (Tangipahoa) Parish, Louisiana, in the morning on 17 June, 1861. Note: The Moore Fencibles was stationed at Vicksburg, Warren County, Mississippi, on 24 June, 1861. Mustered for one year & the war, Camp Moore, on the New Orleans, Jackson & Great Northen Railroad, one & a half miles north of Tangipahoa Station, Tangipahoa Parish, Louisiana, 7 July, 1861: The 9th Louisiana Infantry, Companies A, C, D, F, G, H, I, and K, were mustered in Confederate service for one year at Camp Moore, on the New Orleans, Jackson & Great Northen Railroad, one and a half miles north of Tangipahoa Station, St Helena (Tangipahoa) Parish, Louisiana, by Second Lieutenant J G Devereux, 1st Louisiana Heavy Artillery, Company I, on 7 July, 1861, and Companies B and E for the war on 7 July, 1861. Camp Moore, on the New Orleans, Jackson & Great Northen Railroad, one & a half miles north of Tangipahoa Station, St Helena (Tangipahoa) Parish, Louisiana, to Richmond, Henrico County, Virginia, 11-19, July 1861: The right wing of the 9th Louisiana Infantry, under the command of Lieutenant Colonel E G Randolph, was ordered to proceed by the New Orleans, Jackson & Great Northern Railroad to Richmond, Henrico County, Virginia, at 9 AM on 11 July, 1861, and arrived by the Mississippi Central Railroad at Grand Junction, Fayette and Hardeman Counties, Tennessee, via Jackson, Hinds County, Mississippi, at 8 AM on 12 July, 1861. The right wing arrived by the Richmond & Danville Railroad at Richmond, Henrico County, Virginia, via Knoxville, Knox County, and Bristol, Sullivan County, Tennessee, and Lynchburg, Campbell County, Virginia, on 17 July, 1861, and the left wing, under the command of Major W J Walker, arrived by the Richmond & Danville Railroad at Richmond, Henrico County, Virginia, in the morning on 19 July, 1861. Note: The 9th Louisiana Infantry was stationed at Camp of Instruction or Lee, Hermitage Agricultural Fairgrounds, between the Richmond, Fredericksburg & Potomac Railroad and Deep Run Turnpike, two miles northwest of Capitol, Captiol Hill, Richmond, Henrico County, Virginia, between 17 and 21 July, 1861, and Colonel R Taylor, 9th Louisiana Infantry, arrived at Richmond, Henrico County, Virginia, on 20 July, 1861. Richmond, Henrico County, to Manassas Junction, Prince William County, Virginia, 21-22 July, 1861: The 9th Louisiana Infantry was ordered to proceed by the Virginia Central Railroad to Manassas Junction, Prince William County, Virginia, by Special Orders No.227, Paragraph II, Headquarters, Virginia Forces, Richmond, Henrico County, Virginia, in the morning on 21 July, 1861, and arrived by the Orange & Alexandria Railroad at Camp Pickens, Manassas Junction, Prince William County, Virginia, in the morning on 22 July, 1861. After the first battle of Manassas the 9th Louisiana Infantry was stationed in the vicinity of Manassas Junction, Prince William County, Virginia, on 22 July, 1861. Note: The 9th Louisiana Infantry was assigned to the Eighth Brigade, First Corps, Army of the Potomac, under the command of Acting Brigadier General & Colonel I G Seymour, 6th Louisiana Infantry, by Special Orders No.169, Paragraph I, Headquarters, First Corps, Army of the Potomac, Camp Pickens, Manassas Junction, Prince William County, Virginia, on 25 July, 1861. Camp Pickens, Manassas Junction, Prince William County, to Camp Bienville, one mile northeast of Mitchell's Ford, on the road between Blackburn's Ford, on the Bull Run River, & Centreville, Fairfax County, Virginia, 5 August, 1861: The 9th Louisiana Infantry was ordered one mile northeast of Mitchell's Ford, on the road between Blackburn's Ford, on the Bull Run River, and Centreville, Fairfax County, Virginia, by Special Orders No.185, Headquarters, Army of the Potomac, Camp Pickens, Manassas Junction, Prince William County, Virginia, 30 July, 1861, and was stationed at Camp Bienville, one mile northeast of Mitchell's Ford, on the road between Blackburn's Ford, on the Bull Run River, and Centreville, Fairfax County, Virginia, on 5 August, 1861. Camp Bienville, one mile northeast of Mitchell's Ford, on the road between Blackburn's Ford, on the Bull Run River, & Centreville, to Centreville, Fairfax County, Virginia, 28 August, 1861: The 9th Louisiana Infantry was ordered to Centreville, Fairfax County, Virginia, by Special Orders No. 272, Headquarters, First Corps, Army of the Potomac, Camp Pickens, Manassas Junction, Prince William County, Virginia, on 28 August, 1861. Centreville to Germantown, Fairfax County, Virginia, 29 August, 1861: The 9th Louisiana Infantry was ordered to Germantown, Fairfax County, Virginia, by Special Orders No. 280, Headquarters, First Corps, Army of the Potomac, Camp Pickens, Manassas Junction, Prince William County, Virginia, on 29 August, 1861. Surrendered at Appomattox Courthouse, Appomattox County, Virginia, 9 April, 1865: The 9th Louisiana Infantry, under the command of Colonel E Waggaman, surrendered at Appomattox Courthouse, Appomattox County, Virginia, on 9 April, 1865. Colonel R Taylor, 9th Louisiana Infantry, 20 May-20 July 1861: R Taylor was appointed as a civilian aide on the staff of Brigadier General B Bragg, Confederates States Army, at Pensacola, Escambia County, Florida, on 20 May 1861, and arrived on 25 May, 1861. He was appointed colonel, 9th Louisiana Infantry, on 2 July, 1861, and arrived at Richmond, Henrico County, Virginia, on 20 July, 1861. Camp Walker, Metairie Racecourse, Metairie, Jefferson Parish, Louisiana, 29 April, 1861: Camp Walker was set up at Metairie Racecourse, Metairie, Jefferson Parish, Louisiana, under the command of Brigadier General E L Tracy, First Brigade, First Division, Louisiana State Troops, on 29 April, 1861. Camp Moore, on the New Orleans, Jackson & Great Northern Railroad, one & a half miles north of Tangipahoa Station, St Helena (Tangipahoa) Parish, Louisiana, 11 May, 1861: The Irish Brigade, Company A, under the command of Captain S L James, was ordered to set up Camp Moore, on the New Orleans, Jackson & Great Northen Railroad, one and a half miles north of Tangipahoa Station, St Helena (Tangipahoa) Parish, Louisiana, in the evening on 11 May, 1861, and was accompanied by Lieutenant Colonel H Forno, 5th Louisiana Infantry (See the 6th Louisiana Infantry). Note: Brigadier General E L Tracy, First Brigade, First Division, Louisiana State Troops, was assigned to command Camp Moore, on the New Orleans, Jackson & Great Northen Railroad, one and a half miles north of Tangipahoa Station, St Helena (Tangipahoa) Parish, Louisiana, on 12 May, 1861, and was stationed at Camp Tracey, Tangipahoa, Tangipahoa Parish, Louisiana, on 28 May, 1861. The 9th Louisiana Infantry was assigned to the Eighth Brigade, First Corps, Army of the Potomac, under the command of Acting Brigadier General Colonel I G Seymour, 6th Louisiana Infantry, by Special Orders No.169, Paragraph I, Headquarters, First Corps, Army of the Potomac, Camp Pickens, Manassas Junction, Prince William County, Virginia on 25 July, 1861.